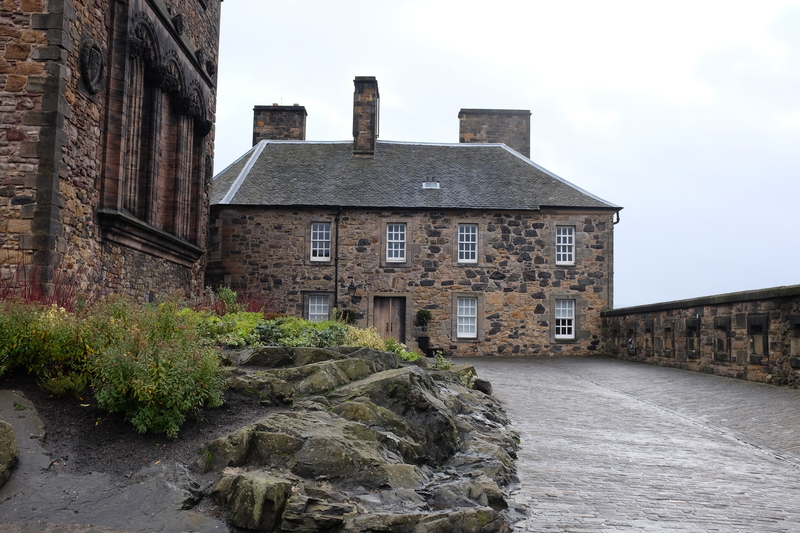 If you dream of visiting a city that exudes Old World charm as cobblestone roads stretch from one corner to another, with beautiful stone buildings at each and every turn, then Edinburgh is the place for you. There is just something so glorious about the city that makes you feel like you’re in a fairy tale; parallel to how I felt as I was walking the streets of Prague three years prior. I’ve recently finished binge-watching Reign, which as some of you know, is about Mary Queen of Scots; it does have its historical inaccuracies, but it further enhanced my imagination as to how the city used to be when Scotland reigned supreme and was a Kingdom in its own right. The magnificence of the Scottish country resonates throughout every step you take in Edinburgh, evident in each sight that beholds you. 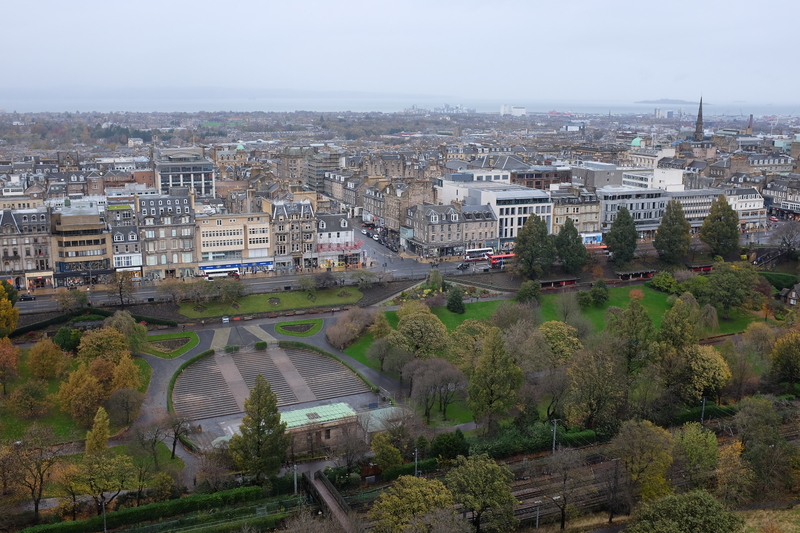 Our trip was rather short – we only spent four days in the city, as most of our time was spent exploring Iceland and lounging around London; but herein, I’ll be listing my favorite places in Edinburgh that made us feel we made that most out of our quick Scottish trip. 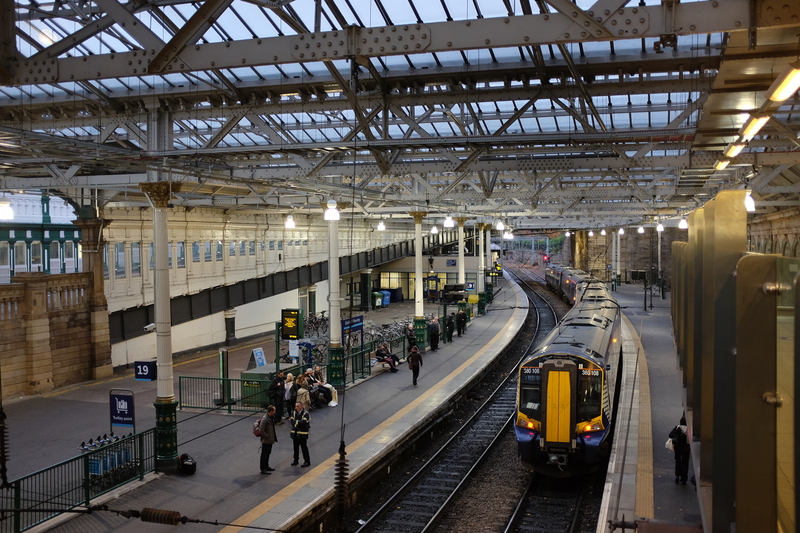 Number one on the list is the very icon of not only the Scottish city, but the country itself. 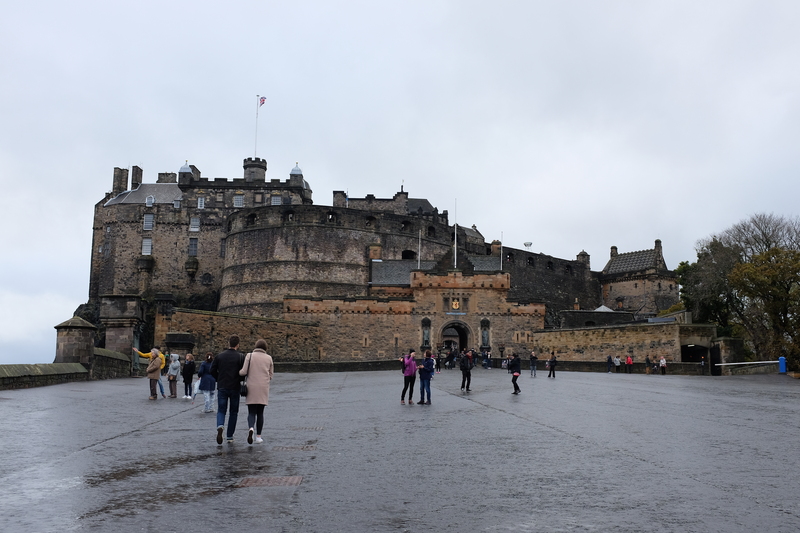 Situated on a rock formation dating back to hundreds of millions of years, is this historic fortress that dominates all of Edinburgh. From almost every point in the city, you’ll see it from afar. Of course, it’s not enough to see it at a glimpse, so we made our way up to the Castle one morning. 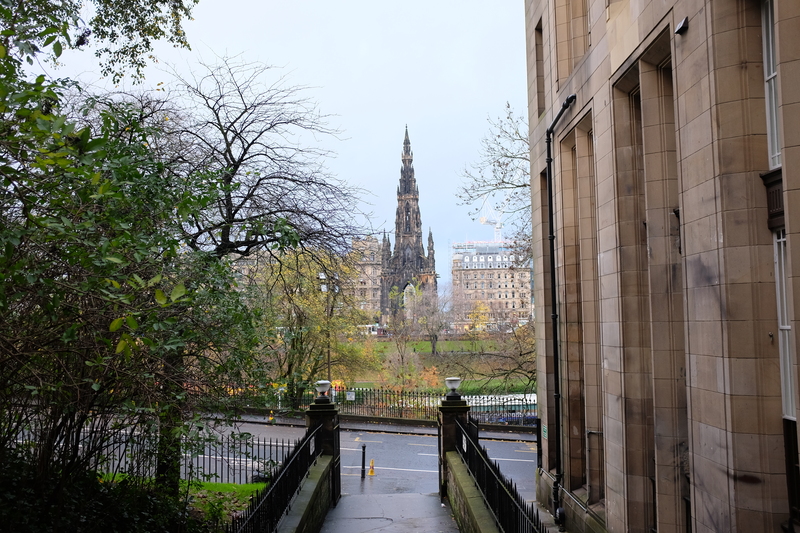 Note that Edinburgh is an extremely hilly city, so get ready to climb a lot of steps. By the end of the trip, your calves would be a bit more toned. 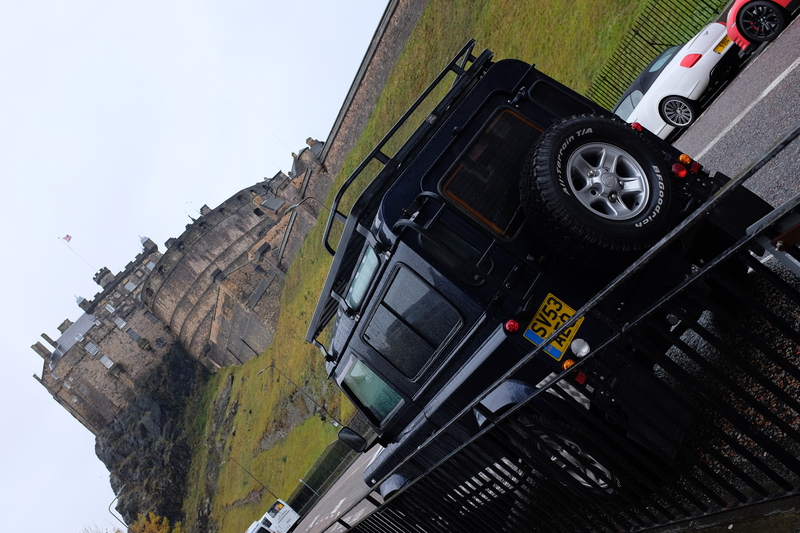 As we arrived at Castle Rock, we were rewarded with a fantastic view of the city. 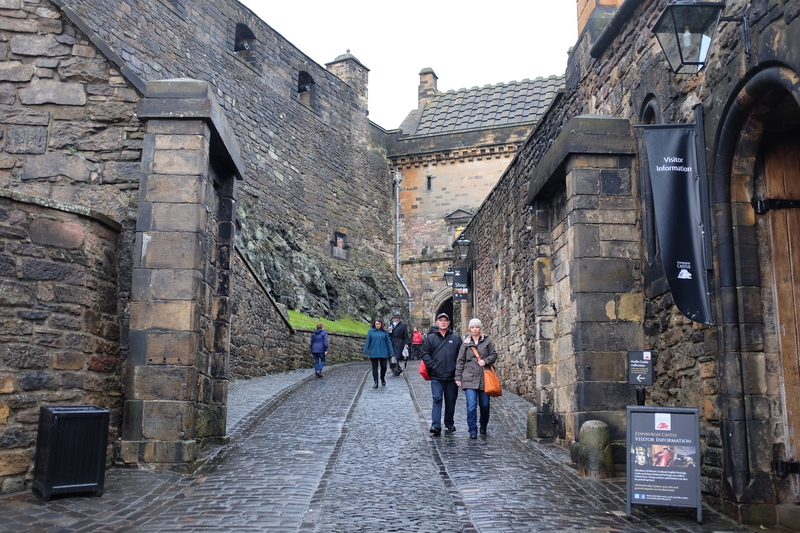 The ticket counter can be found upon entering the gate of the Castle, where you can also pick-up audio guides. 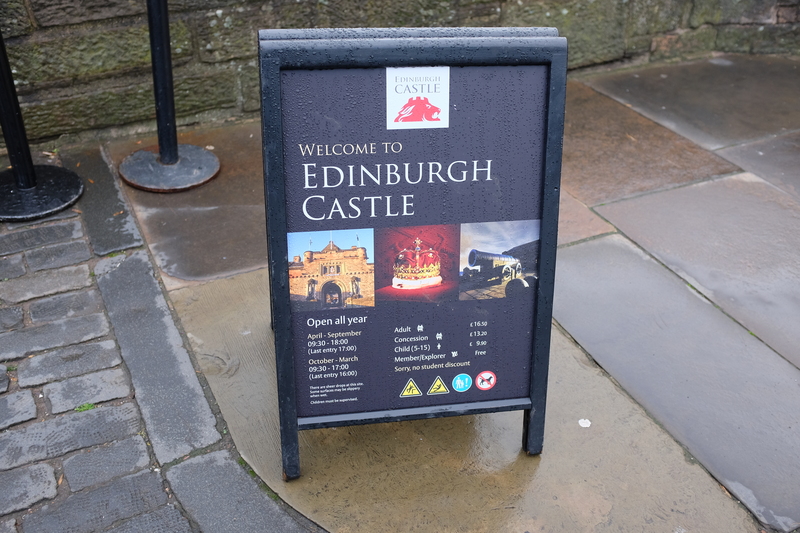 Though a visit to the Castle is a bit on the expensive side, note that it is worth every cent, as the Castle is a must-visit when you’re in Scotland. Updated entrance fees can be found here. 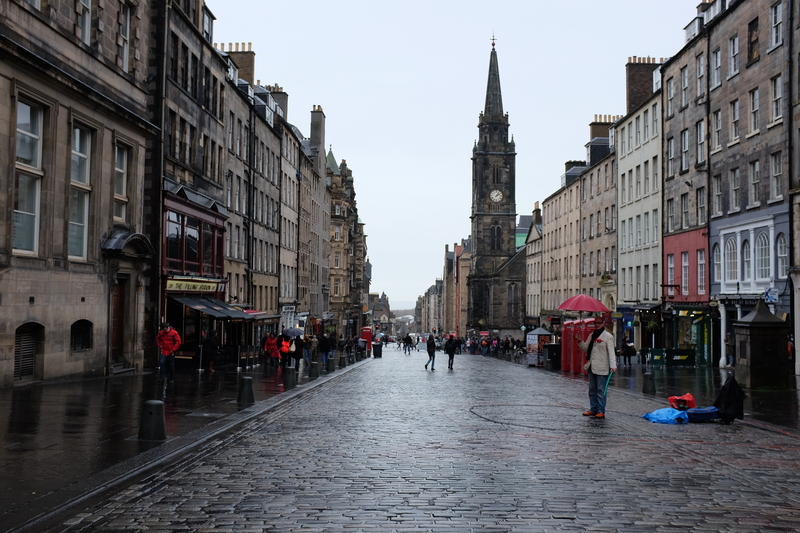 Next on the list is Edinburgh’s Old Town, obvious in its name, is the oldest and most preserved area in the city. 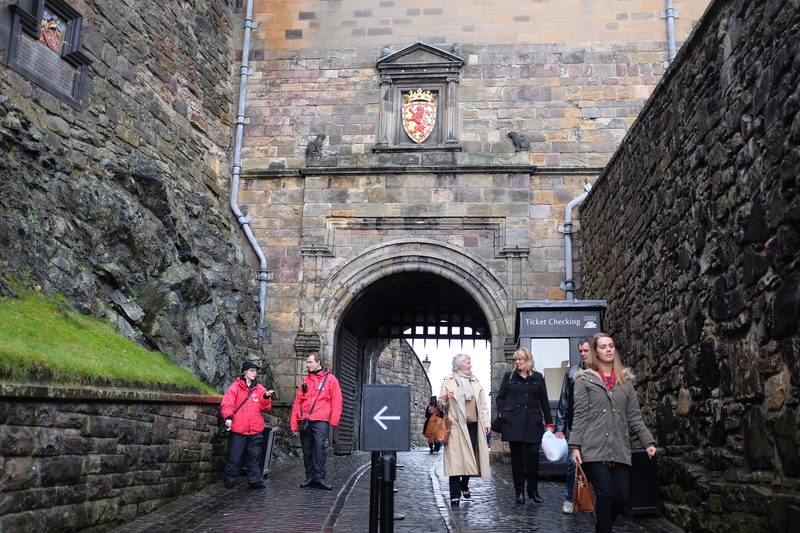 As you walk through this charming area, you’ll be taken back to Medieval times. There is, however, that one street that is an attraction in itself: Victoria Street. One of the most photographed locations in all of Scotland is this street with colorful buildings curved through its cobblestone road. Gorgeous as it already is during the day, it transforms into a romantic backdrop by night. 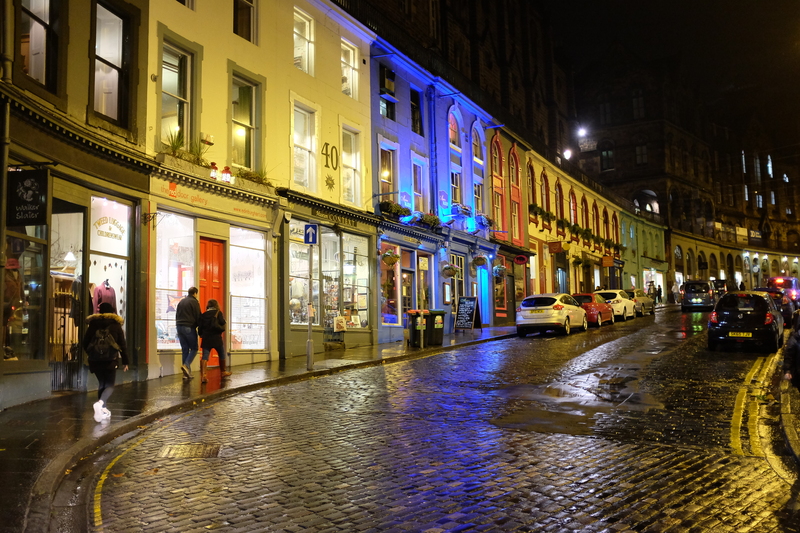 Located in the New Town, the main shopping street in Edinburgh not only showcases retail offerings, but also attractions that one mustn’t dare miss while in Scotland. Compared to the Old Town, this area exhibits modern architecture, but at the same time, maintains Old World charm. 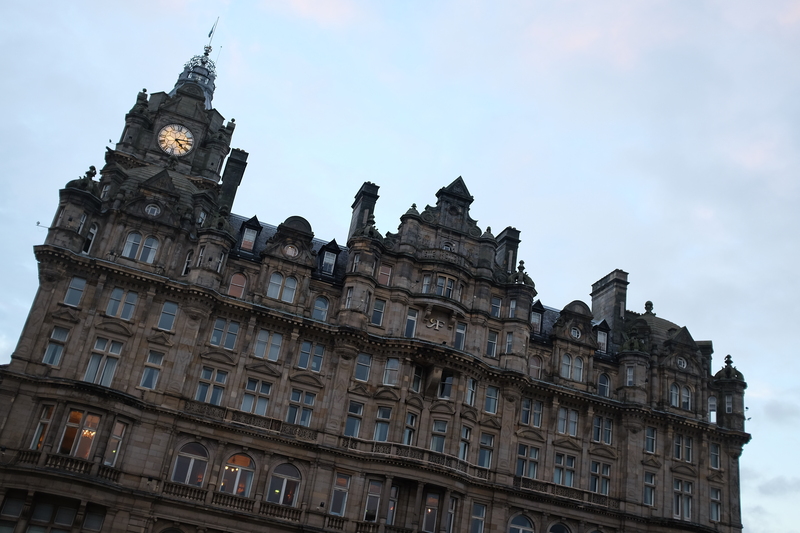 The Balmoral: more popularly-known as the hotel where J.K. Rowling completed the Harry Potter series. 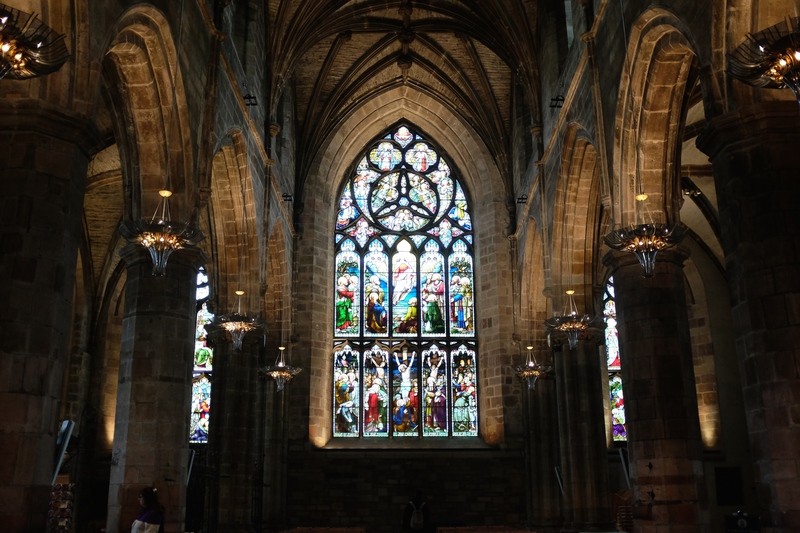 St Giles’ isn’t as massive as other Cathedrals I’ve visited, but it is just as majestic. The Cathedral is exquisitely designed, as the stained glass windows complement the arched ceiling. The lighting accentuates the architecture and framing of the structure, providing a magnificent ambiance. Entrance is free, but I do remember a minimal fee to take photos. I suggest you pay for the photo pass, as it goes to the maintenance of the Cathedral, and you get to commemorate your visit with your very own snapshots of the place. 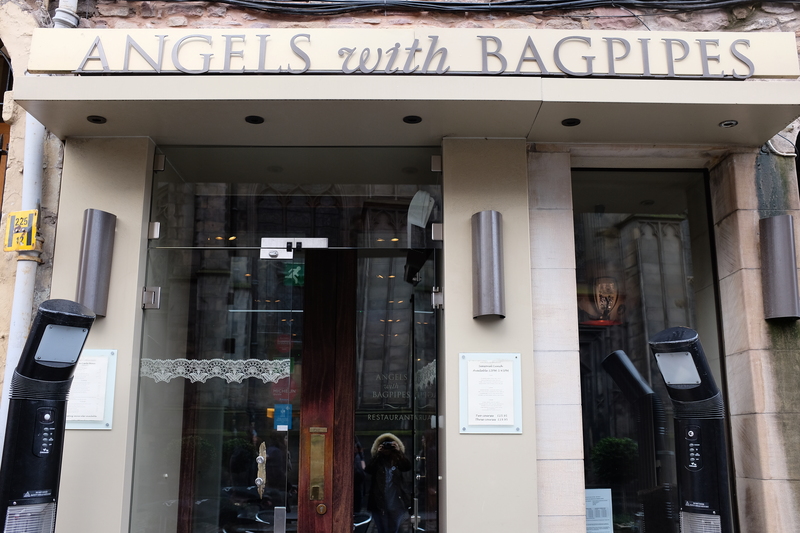 Surely one of the best restaurants I’ve dined-in to date and a highlight of this trip to Europe; more about it on Restaurant Review: Angels with Bagpipes. 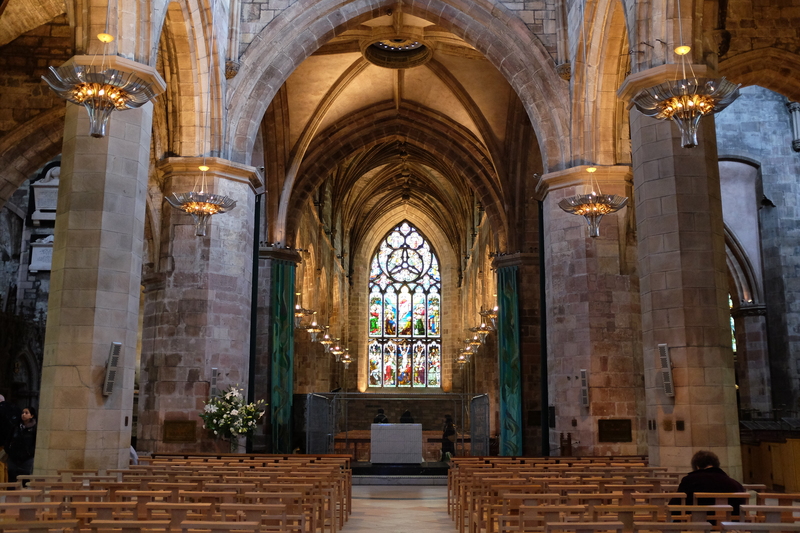 Both St Giles’ and Angels with Bagpipes are located on this picturesque thoroughfare, but there is much more to see and do along the Royal Mile. 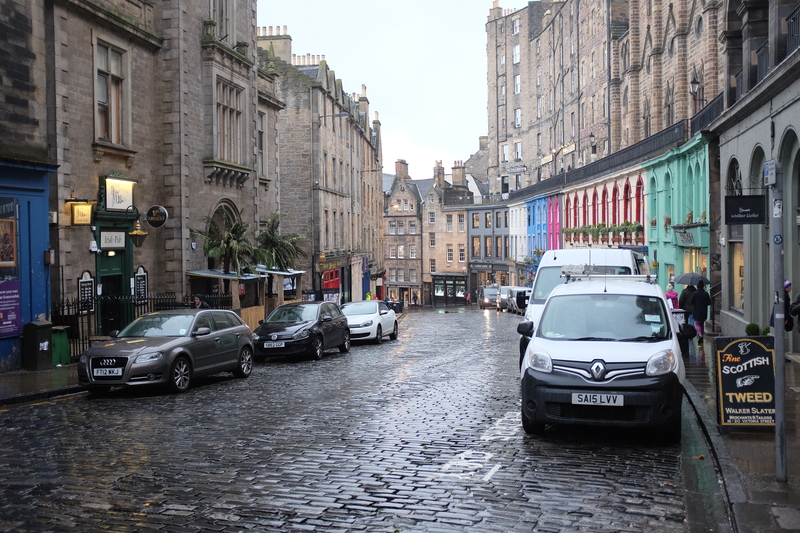 Within its succession of streets, it is a stretch of history, culture, architecture, and character rolled into one, best describing the heart of Edinburgh. 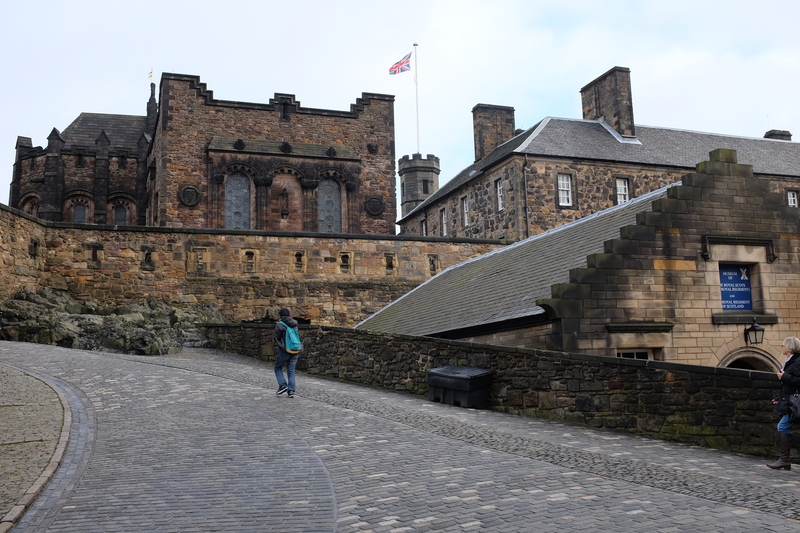 From street performers to little Scottish cafes, with Edinburgh Castle on one end and Holyrood Abbey on the other, one could easily spend hours exploring this part of the city. 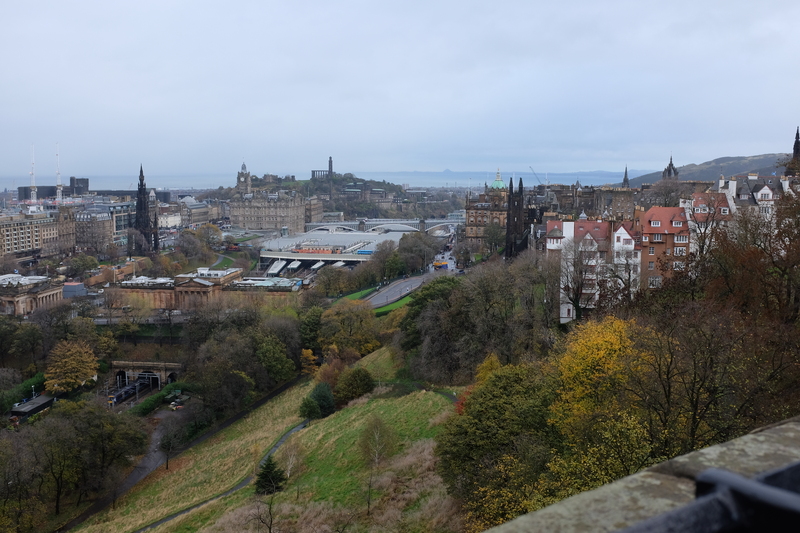 Edinburgh was a city we only included in the itinerary, as we worked around our main destination for this trip, which was Iceland; there was a time that I thought about routing through other places, but I’m so glad that we decided to make this little stop in Scotland. 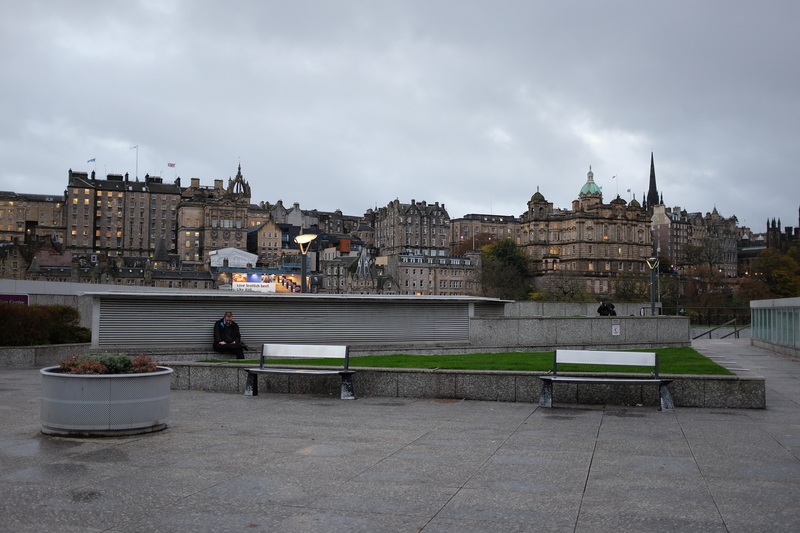 Our experience definitely proved that the Scottish capital is a must-visit even for a short while.